Whether you’re on a romantic getaway or simply treating yourself to an indulgent spa session, a couples massage is a great way to relax and rejuvenate both you and your loved one. Despite the suggestive name, couples massages aren’t just for couples — friends and family members can also enjoy this invigorating experience together. Massage with CBD oil creates an effect than lasts longer than self-application, because while CBD is relaxing your muscles, the massage therapist is able to break down “knots” or adhesion. This in turn increases overall circulation of oxygen and nutrients to tissues and vital organs. Benefits from massage with CBD oil include faster healing, and relief that can be felt into the next day! A gentle and holistic technique that focuses on identifying and resolving restrictions in the body by lightly palpating and influencing the rhythmic movements of cerebrospinal fluid to stimulate your bodies natural healing process and restore balance to the body. This modality is efficient in a wide range of dysfunctions, including chronic pain, headaches, anxiety, depression, TMJD. A non-invasive body sculpting treatment. Using different techniques such as, deep tissue, myofascial release and lymphatic drainage the body gets detoxed by breaking down metabolic waste and fat cells. Ultimately this treatment helps promote the production of collagen, makes you lose inches while revitalizing your whole body. Focus on the deepest layer of muscles to target knots and release chronic muscle tension. Promotes deeper muscle relaxation through the placement and use of smooth, water heated stones at key point of the body. A light, very slow and focused massage designed to assist in the flow of lymph fluids and reduction of swelling due to injuries. Have you ever wanted to receive a massage where all you pain and aches are worked, but want to relax and release at the same time? If the answer is yes, this the therapy for you. Orth-relaxation massage provides a combination of techniques including stretching, NMT exercises, realignment, orthopedic and Swedish or deep tissue massage. This combination will help your mind and body to align, reduce pain and relax. This technique works with specific physical conditions and or injures, that have been diagnosed by a doctor like frozen shoulder, strain ligaments, limited range of motion, sciatic nerve pain among others. It wraps therapeutic evaluation, manipulation and movement of soft tissue to reduce or eliminate pain or dysfunction. An ideal therapeutic massage that focuses on the special needs of mother- to- be as her body changes. May utilize a variety of techniques such as Massage, range of motion,trigger point therapy, and hydrotherapy to meet a specific goal. Pre-Event, Post Event, & During Recovery. Combinations of techniques like reiki, craniosacral, massage, guided meditation and breathwork to take your body to a state of balance promoting the physical, mental, emotional, energetic and spiritual. Combine the therapeutic benefits of marine derived ingredients with a veritable cocktail of anti-aging vitamins and minerals. Relax and let our Esthetician take over and combat the effects of time. this powerful facial incorporates all that is good for your skin; vitamins A,E,and fresh Vitamin C, rich DNA gel, loaded with amino acids and a firming Spirulina algae mask that is sure to feed all of your skin’s cravings, the Vita-Sea Firming treatment deliciously nourishes your skin with the best nature has to offer. 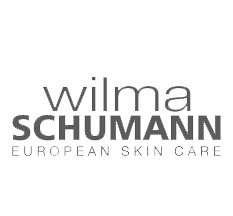 One of the latest trends in skin care, this treatment provides the landscape of your face with the balance it deserves through the implementation of CBD oil; an extract highly praised for its effects on skin. CBD (Cannabidiol) offers omega-3 and omega-6, both essential fatty acids, that will keep your skin resilient and healthy as well as antioxidants to protect your skin. Conditions it’s known to improve are Acne, Eczema, Psoriasis, and general aging.Inflammation spikes acne, skin sensitivities, and the aging process. In this facial we inspect the skin thoroughly. Cleansing and exfoliating to prep the skin for optimal absorption. Massaging it into the face, neck, and shoulders releasing stress and toxins for an optimal glow. A specialized treatment combining soothing draining techniques with calming serums to return skin to natural balance. Greet the world with your best face forward. This treatment is designed to rid your pores of any number of impurities that might be found within through the use of peels and extractions. Thorough inspection of skin to properly treat breakouts with extractions and reducing inflammation of the skin. With the intent to keep your skin smooth and soft, this treatment will guide your skin into retaining its moisture through the use of Glycolic combined with Oxygen. Beneficial for pre-op. Cleanse. Exfoliate. Tone. And more. It’s a classic and you don’t mess with perfection. A 30 minute treatment targeting skin care and maintenance.